There aren't any Paine models around... I'd like someone to make one. Advice, just because you want one doesnt mean a modeller does. You should post pictures of what you want and what Paine is because I have no clue what it is. If it is anime then it most likey wont be made, its just how things go here. Also, tell why you want it. Also, try it yourself. If you dont know how to model, then dont just lay around, try to learn! I know. 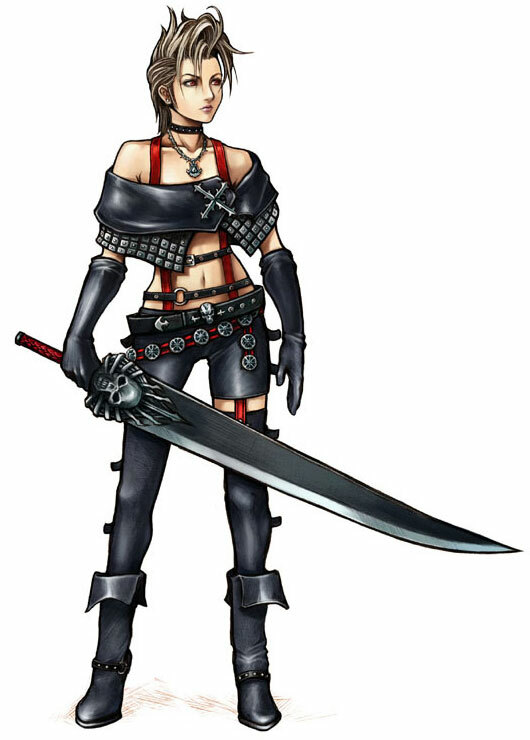 I was just playing Final Fantasy X-2 and waswondering why there weren't any Paine models around. She'd be perfect for JA! Anyways, I'd supply the sounds! I love doing that. Oh yeah! I'm working on the sounds now. I'm working on the sounds now. You should wait until someone actually TAKES the project to make sounds. Yea... shes a bit funky, the hair would be hard to do.